Well spank me twice and call me Hobby! I thought he was dead. Along with his right leg, I thought Hobby was down in Davy Jones locker, or whoever has a locker in a freshwater river. The last time Hobby visited was in August. Jill (my friend) and I had a good laugh watching him trying to scratch behind his right ear. His little stump was going a mile a minute, but no relief. We shouldn’t have laughed. Maybe that’s why he stayed away so long. 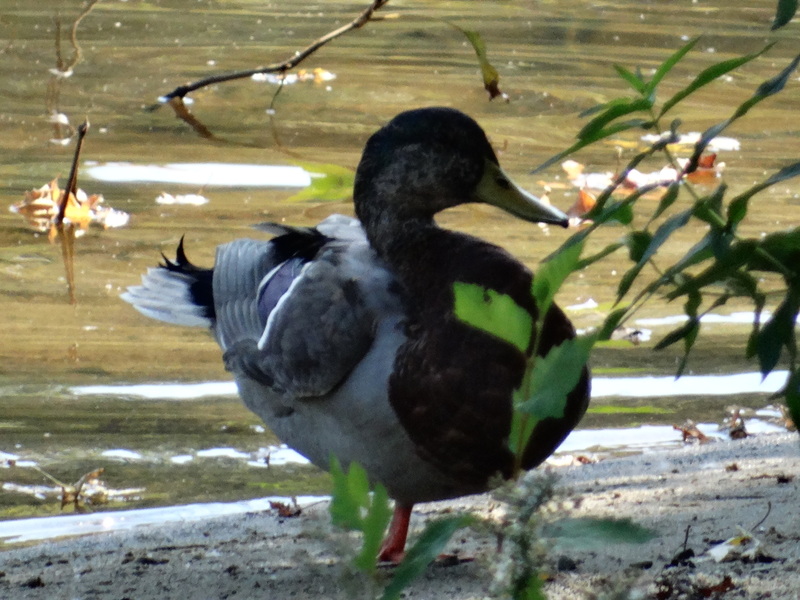 Obviously feeling better about himself, he came hoping onto the beach, all fat and beautiful in his mallard colors. I couldn’t have been happier if Johnny Depp had hopped up my beach (ok, I might have been a little happier). It’s times like these when Chris pulls the blanket over his head and pretends to be asleep. Keeping the feathers well oiled. 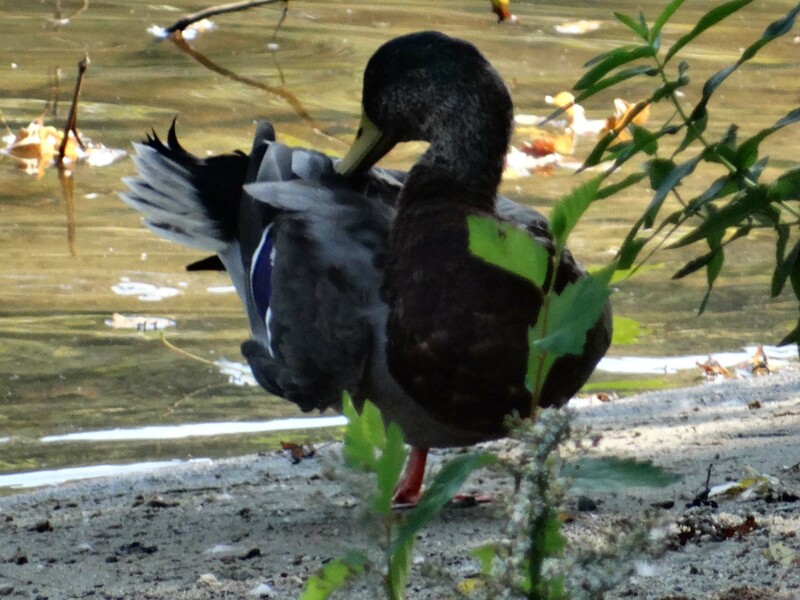 Gallery | This entry was posted in Life on the Concord River and tagged duck with one leg, male duck, male mallard with one leg, Mallard, mallard duck with one leg, mallard ducks, one-legged duck. Bookmark the permalink.